Kennebunkport, Maine – Get out on the Water! 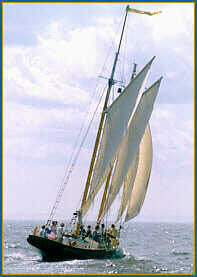 The Eleanor Schooner is a beautiful 55′ gaff rigged schooner built by Captain Rich. She sails from the Arundel Wharf three times a day (weather permitting) at 11am, 2pm and 4:30pm. The 1 1/2 to 2 hour sail along Kennebunkport’s coast is wonderfully relaxing and Rich can tell you just about anything you want to know about sailing, sail boats and the Maine coast. With a maximum of 20 people per trip, this is a guest favorite. We highly recommend picking up a bottle of wine and lobster roll picnic for the 4:30 sunset sail. The Eleanor is available for private charter. Lobstering is one of Maine’s largest industries. While we highly recommend that you eat as much lobster as you can while here, another nice way to get out on the water is to go on the Rugosa, a classic New England wooden lobster boat. This lobster boat is run by Captain Bob and his crew. These 1 – 1/12 hour trips run daily (weather permitting) at 10:30am and 1:00pm. Sail along the Kennebunkport coastline and learn about lobster fishing. Roll up your sleeves and pull a few traps, or just sit back and enjoy. The Rugosa departs daily from the Nonantum Resort. The Rugosa is also available for private charter. Want to explore further afield? Hate sitting in traffic on Route 1? HydiWave water taxi service offers a better way to get from Kennebunkport to Perkins Cove in Ogunquit. Departing every two hours from 10am to 6pm (weather permitting) from the dock in Kennebunkport, this 6 passenger, 24 foot Boston Whaler is quickly becoming a favorite with guests. Return trips from Perkins Cove run every two hours from 11am – 7pm. This boat can also be chartered for 3 1/2 hour lighthouse tours. See the rugged Maine coastline, historic lighthouses, seals, porpoises and working lobster boats. Captain John will tailor a tour just for you. Advanced reservations are required on all of the boating excursions. Availability gets tight in the peak summer months so plan ahead to avoid disappointment. Please call the Inn and we will be more than happy to make those for you. For those who like to make their own way on the water, Coastal Maine Kayak rents kayaks and paddle boards. Make your way up and down the river at your own leisure or go on one of the guided Kayak tours that Teresa and her team offer. The Cape Porpoise Lighthouse tour is a guest favorite. 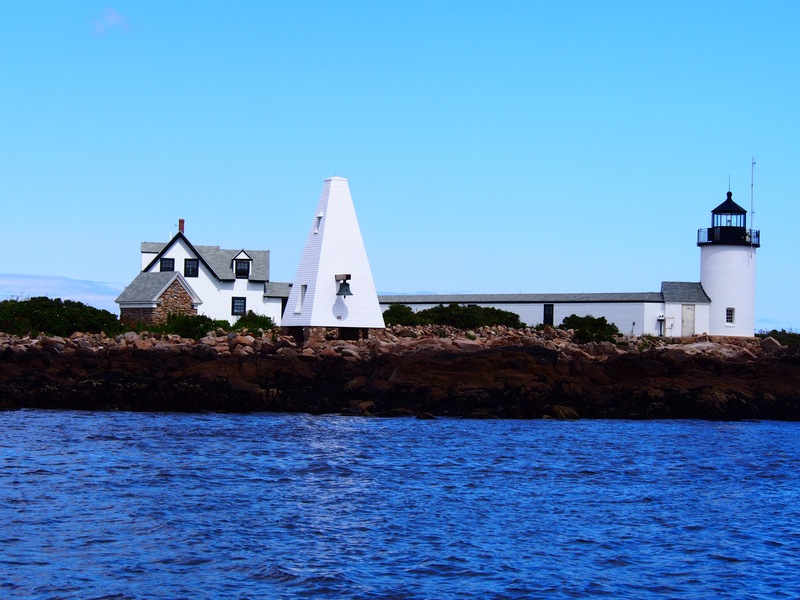 On this three hour trip, you will visit Cape Porpoise Harbor named by Captain John Smith in 1614. Have a picnic lunch on Goat Island and see the lighthouse up close. Interested in the eco system of the Southern Maine coast, explore the Mousam River, an open salt marsh with views to the Atlantic entering into rich woodlands. This tidal estuary is a great place for seeing local waterfowl. Whatever you decide to do, we hope you’ll take the time to get out on the water and see Kennebunkport from another point of view! This entry was posted in Local Information by admin. Bookmark the permalink.